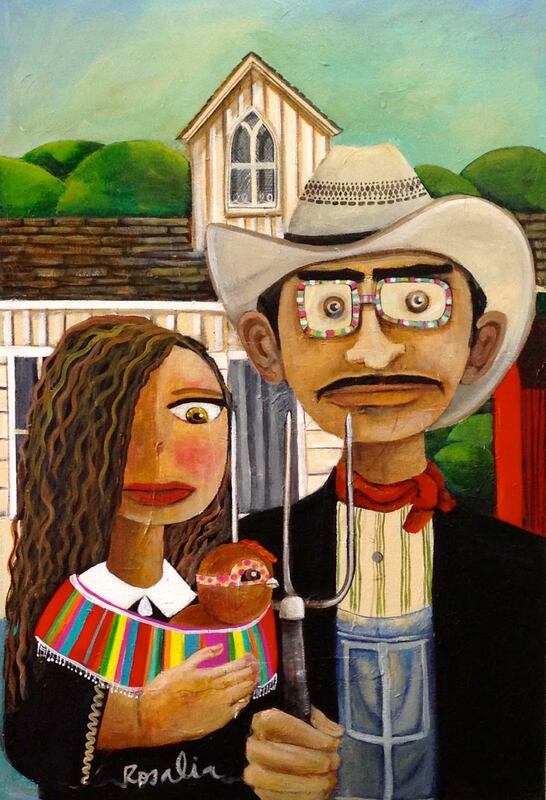 If you’ve ever met our friend and local artist, Rosalia Torres-Weiner, you know that she is a dynamo. Full of energy and passion, she has a fiery spirit that is contagious and she is involved in everything she can get her hands on in Charlotte. You can see her work on several permanent venues as murals all over town, but currently you can also find her in her studio – Red Calaca. 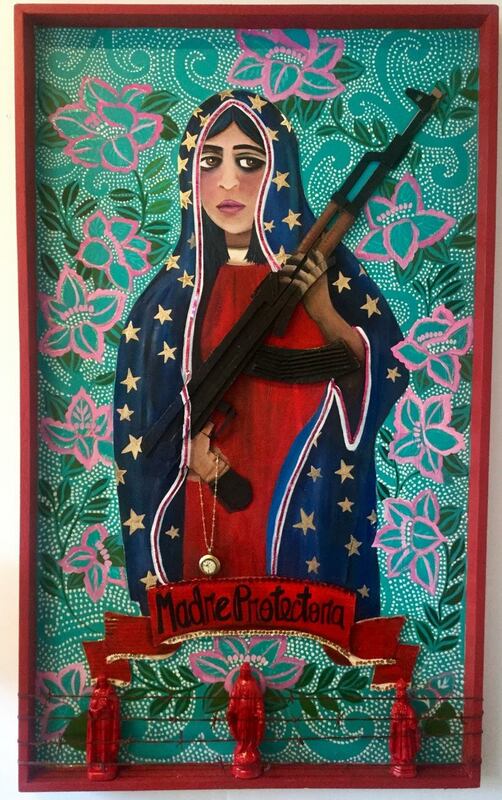 Also next Friday at the Levine Museum of the New South, visit her for the Dios De Los Muertas festival where she has work both featured in the NEUVOlution exhibition and a temporary altar piece at the festival. 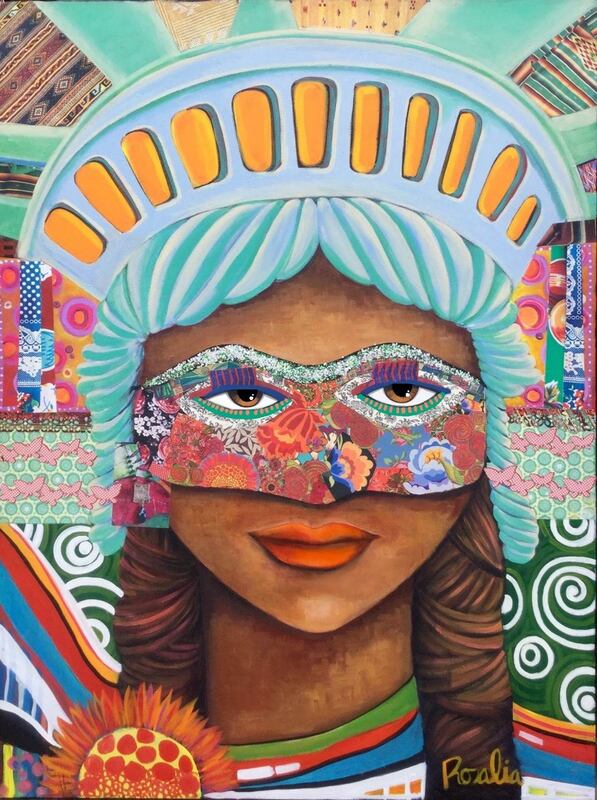 Read more to find out about Rosalia and her inspiration for her detailed, vibrant, and powerful paintings. RTW: When I was 6 years old. I started to draw tiny portraits of my family and would pretend to use a match box as an instant camera. I would asked them to pose while I took a picture and I would pretend to develop it, placing their drawing in the match box. RTW: Issues that are affecting immigrant communities such as family separation, access to public education, racism and moving beyond common stereotypes. RTW: I have been very fortunate to participate in Residency programs at the McColl Center for Art and Innovation and LaCa Projects. These programs have expanded my reach, exposed me to new and different artists and mediums, and allowed me the time and opportunity to exploit my own creativity. 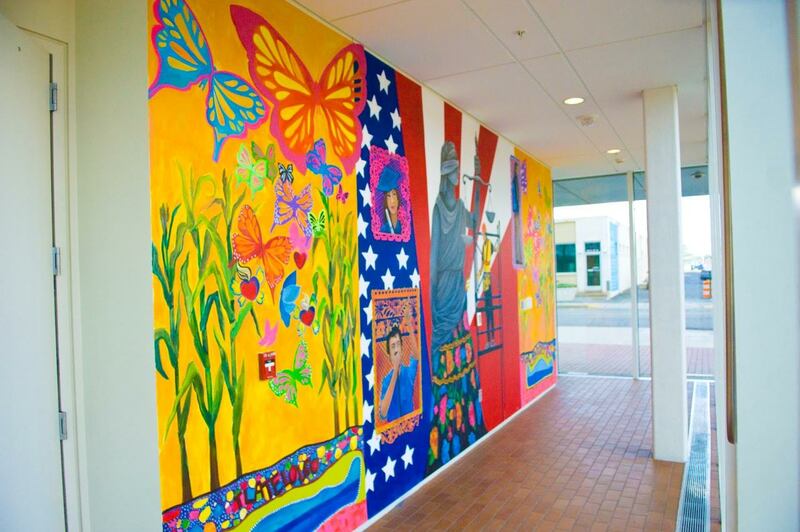 The Levine Museum of the New South has given my work national exposure. RTW: My Ipad – I have been experimenting with different painting apps lately. RTW: For a very special occasion – Del Frisco’s For an everyday special occasion – La Unica on central avenue. 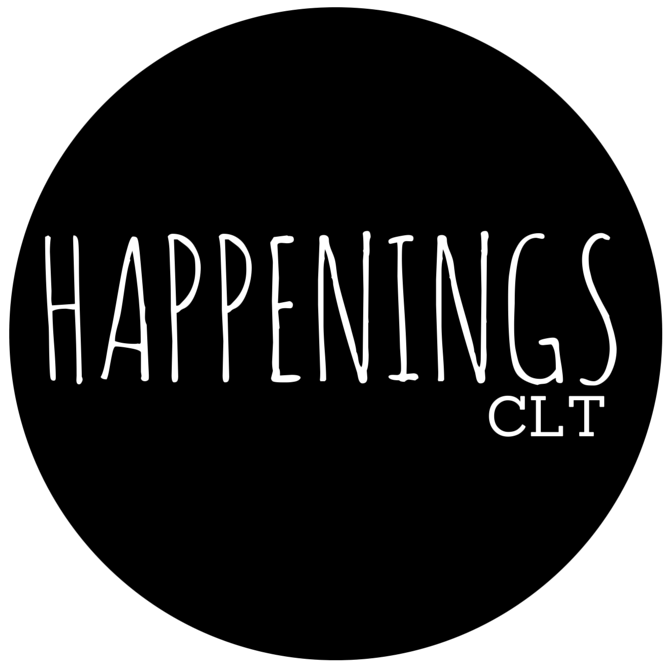 RTW: Public Murals: UNCC Center City, NoDA 36th and Davidson (Blind Pig’s wall), 7th Street Public Market, and on Central Avenue outside and inside of Las Delicias Bakery; Exhibit Amalgamation at UNCC Center City until end of November. NUEVOlution at Levine Museum of the New South until October 2016. My studio residency at LaCa Projects 1429 Bryant Street until May 2016. RTW: I want to continue to raise awareness in the community about family separations by deportation, and will be doing public speaking events and organizing more opportunities to exhibit work that focuses on these issues. I am looking for my next art residency, perhaps in another part of the country like the Southwest (Arizona). I am planning a visit to the Atlanta Detention Center and will offer my next kite workshop through the relief agency El Refugio. 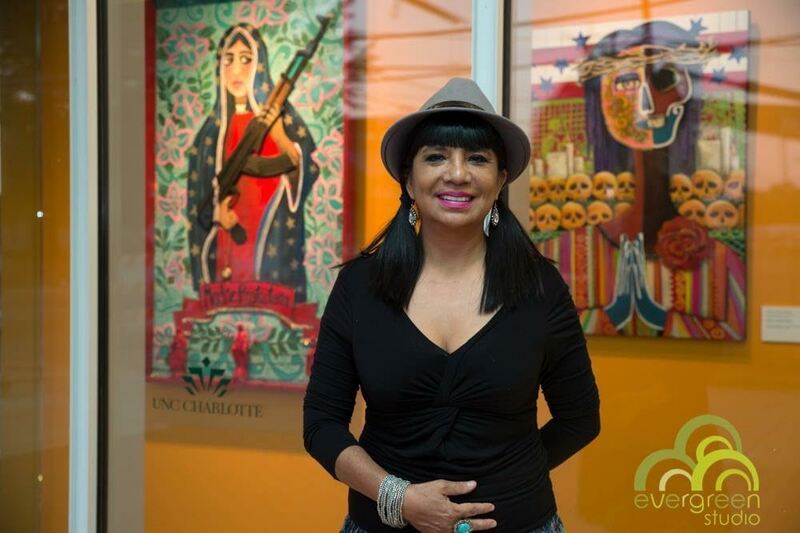 I will continue sharing my Mexican culture through my art and during events like the Day of the Dead installation and celebration of Life at UNCC on October 30th, 2015. Finally, the Children’s Theater of Charlotte will be producing a story adaptation of “The Magic Kite” which opens in April 2016.